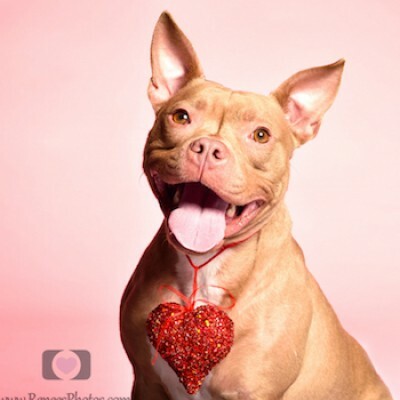 At Camp Bow Wow Hilliard, we believe every dog should have a loving fur-ever home. We work closely with local shelters and rescues to help with their adoption efforts, and often have foster dogs staying at Camp. These dogs get to play all day with other Campers, snooze the night away in individual Cabins, and get lots of love and attention from our Certified Camp Counselors®. Personality: This handsome boy is Ace. He's an approximately 2 year old pit bull mix who weighs about 40 pounds. He loves to play with his tennis ball and squeaky toys, run in the back yard, or just curl up for a nap. Ace is also a very quick learner. It took no time at all to teach him to sit and lay down. He's great in his crate and in the car (he loves to go for a ride!) Ace is housebroken and currently lives with two cats. He previously lived with other dogs and seems to enjoy meeting new dog friends when out and about. He can be a little timid in new places or when meeting new people but warms up quickly and makes friends wherever he goes! Ace is a little unsure around young kids though so we would like to see him with a family with older kids or no kids. Ace is one happy, cuddly boy and will bring a lot of love to his new home! Personality: Howdy! 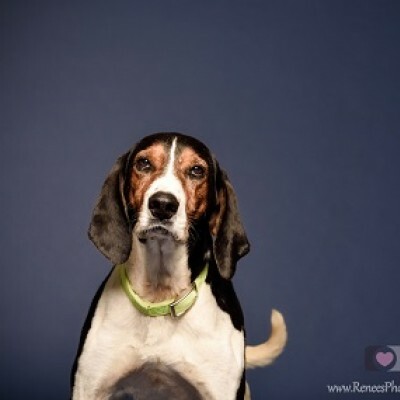 My name is Vernon and I am a laid back 6 year old, 55 pound, Tree Walker Coonhound. I came from a rural shelter in KY and my foster mom believes I was an outside dog. I am adjusting to indoor life just fine and actually love it. I wasn't quite sure what a dog bed was or even toys for that matter, but I am learning to love them. I am still timid and not sure about squeaky toys. I prefer dental bones or toys that are quiet just like me. Although I am a coonhound, my foster mom tells me I am so quiet! I don't bark or whine, even while in my crate! I absolutely LOVE peanut butter. It's my favorite thing in the whole entire world! I haven't had any accidents since the first day in my foster home, so I have learned I need to go outside. I also am wonderful in the crate so I am crate trained. My foster mom learned that I am adventurous and can climb a baby gate, so a fenced in yard with a taller fence would be best, but not required. I am learning basic obedience and house manners as well. I live with two foster doggie sisters and two foster kitty brothers and do well with all of them! I am such a sweet boy who will lean into you while you pet me. I just want a family to call my own and to cuddle with.